Damages: When social media managers lose it . . .
Somebody recently mentioned that “Mercury is in retrograde”. I had no idea what they meant, but I’m beginning to suspect that it’s a Latin term for “social media managers in South Africa have lost the plot”. Over the past week or so, several incidents confirm that there are still too many companies that believe social media to be something less than brand and reputation management and the most incredible way to engage clients on a one-to-one basis. The first occurred with a site I imagined to be a tourism site (of sorts), given its name. The (I can only imagine young) men who run the Facebook page posted a picture of a woman almost wearing underwear, though I’m not sure what it had to do with events in Cape Town at all. A couple of people found it offensive and one said so. The party started round about there . . . The “social media manager” told her to unlike his page; she suggested that wasn’t really the way to deal with issues on social media; the young SMM called in the troops . . . and the woman was slagged off, mocked, degraded and lambasted – on Facebook and Twitter – for hours. I tried to reason with the young SMM, suggesting that whether one found the pictures (yes, there are more of them; some entirely inappropriate for a site that doesn’t warn parents not to let their youngsters go there) offensive or not, it doesn’t make sense marketing-wise to treat people badly online. My comments went unnoticed and the attack continued. I had no idea South Africans could be that vicious. Don’t these blokes have a mountain they could climb to get rid of that kind of pent up anger?? The second incident was the now-famous SANRAL comment to someone who complained to the organisation on Twitter. The SMM found it necessary in that case to immediately attack the man’s looks. Not nice, not clever and not a secret anymore that SANRAL’s social media accounts may just be managed by someone with little online experience and even less people skills. SANRAL deleted the comment a short while later but – too late . . . screenshots of the exchange were all over Facebook, out of the SMM’s control. Silly, silly thing to do. The sad part about all this is that so many companies know they should have a social media presence, but fear negative publicity. Issues like those mentioned here just confirm their fears, when the real problem is who they hand their brands over to: I’ve heard many a decision maker suggest “Jason in IT – he’ll handle it AND he’s got LOTS of Facebook friends”; or “Meredith can do it in her spare time”; or even better, “Let’s hire a college student – they’re cheap”. A good knowledge of your products and/or core focus, as well as your image . . . and a dedication to protect that at all costs – even when there’s this, like, RAD pic of a chick in a bikini just waiting to be posted, Dude . . . Incidents like these two (and there were others, but you get the general idea) serve only to damage the social media arena and the reputation of both brands and people. Especially the SMM people who don’t have the social skills required to deal with the opportunity to address customer’s concerns in a positive and pleasant manner – which is exactly what CAN be done on social media, with millions of people watching. Dianne Bayley is a freelance writer, former editor of Marketingweb and the founder of infORM Reputation Management, a company that specialises in setting up and monitoring your social media initiatives. This blog was originally published on Letsema Communications’ publicrelationspnderings blog. 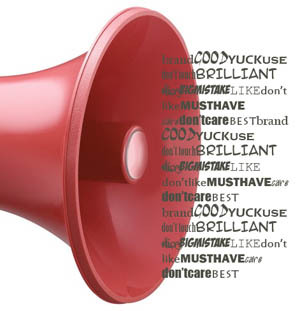 Measuring ROI of word of mouth – really? Just as I’ve never understood how anyone can assure an advertiser that his billboard has been seen by X number of people – rather than just cars driving past, if they’re counted – I’m finding it difficult to believe the number of companies claiming to be able to give you the ROI on social media exposure. While I’m highly animated about the remarkable ways in which we can communicate these days, I’m also starting to look at how much information we access daily, and where it all goes once my head is full. Probably to my hips . . .
What price social media (non)management? In a recent article posted on socialmediatoday.com, social media expert for CBS News and founder & president of Resonate Social Eric Harr says that, while it will be a massive growth industry in the next few years, very few companies (or people) know the art or reputation management. Importantly, even fewer companies or brands in South Africa appear to be looking at social media – and online reputation – management as an investment, as they would marketing and advertising. Seems many are happy to hand social media over to a techie or a junior member of staff, when they wouldn’t dream of having these people in charge of their advertising campaigns.